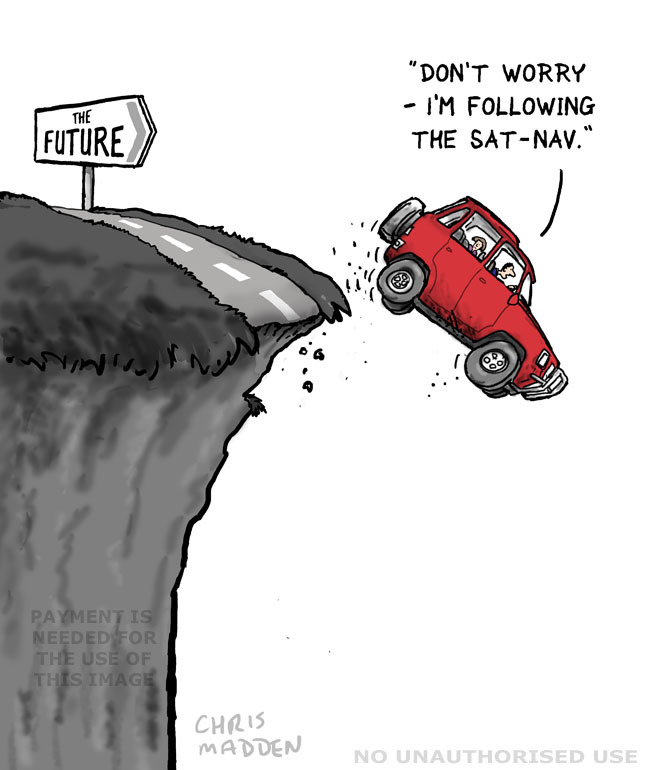 A car driving off the end of a road and over a cliff – with the car driver still unquestioningly following the sat-nav. The scene is a metaphor for what may happen if the human race unquestioningly and uncritically follows technological progress. Not that I think that technological progress is bad – we just need to watch where it’s going.